Watch the demo video of the scrooo at Youtube! On the two tracks "detour2" and "scrooo", the scrooo is the only audio source (plus some delay, reverb and slight compression). You may have to reboot your Mac after installing the scrooo! 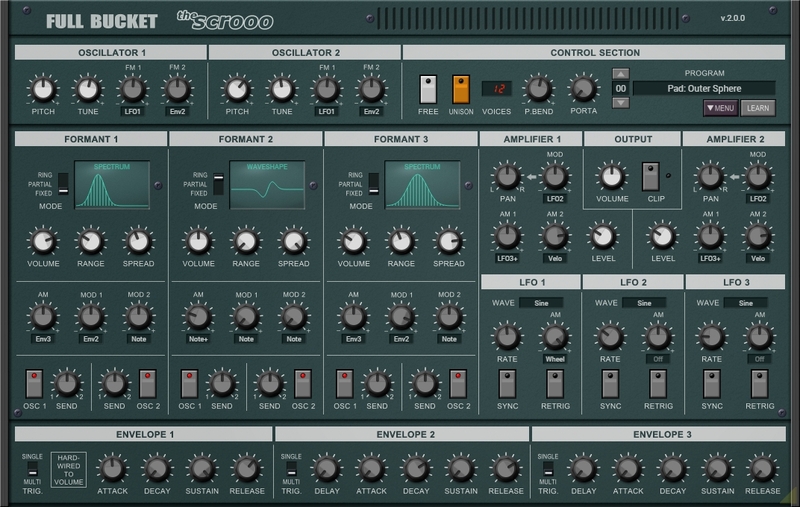 the scrooo is subject of KVR's One Synth Challenge #113 (OSC). Go to the official OSC website and listen to the submissions of this great event! Found a bug? Want to leave a comment? Please send a mail!